Owning a senior cat is a little like living with your grandma. You have to take into consideration that they are not as young as they once were and are not able to do all the things they used to. 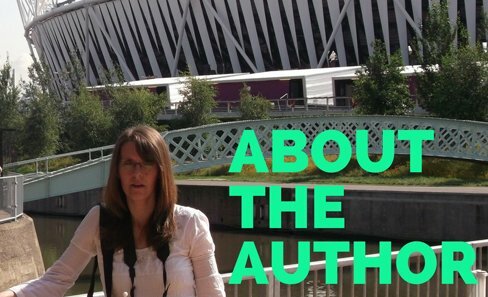 They may need a little extra help to get around, like a ramp to help them climb onto chairs etc. Or perhaps things may need to be altered around the home to make their life a little more comfortable for your elderly cat. Our cat Little Mo was eighteen when she died and so was a senior cat for the last few years of her life and was showing signs of her old age. Where once she wanted to be outside all the time, she became much happier to sleep all day and do as little as possible. What Changes Will I Notice In My Old Cat? As a cat gets older, just like us, they become less flexible, as bones become weaker and muscle tone is not quite as strong. So just like us they can start to become susceptible to things like arthritis and general wear and tear on the old bones. These sorts of physical restrictions will make it much more difficult for a cat to get around as much as they used to. For a cat this can be distressing. especially as jumping and climbing is one of their main activities. 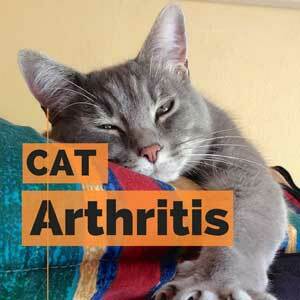 What To Do: Try giving your cat a supplement which will help their joints during old age. Pet Well being's Agile Joint Care helps to maintain flexibility and joint fluid. A senior cat can also suffer from mental degeneration, causing symptoms similar to Alzheimer's disease or dementia. This can manifest itself as strange behaviours such as staring at walls and looking rather bewildered. As with any change in behaviour it is always important to rule out any other illness that may cause similar symptoms and so must be checked out by a Vet. 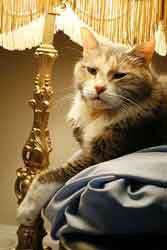 But if the cat is pronounced healthy then general old age is the culprit. Vets call it cognitive dysfunction syndrome (CDS). Excessive Meowing - this is more pronounced at nighttime and is generally put down to the fact that the cat may have become confused and is not sure of where they are. This can be very distressing for both the cat and the owner.Try putting your cat into a separate room at night and play some soft quiet music, which may help to calm them, and feel more secure. 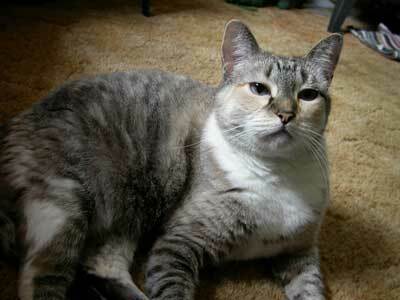 Pacing - Old cats may start to pace around in circles or just wander from room to room. Again this can be put down to confusion.Try distracting them with string games or just some gentle stroking. Change in behaviour towards you and other pets - This behaviour can go either way from behaving as if they don't know you and running away from your attentions to becoming over clingy and obsessive about being with you. Some cat owners have noticed that their senior cat may start to rub themselves excessively around other pets whereas before they would stay clear. Sleeping habits - Old cats can also experience changes to their usual sleeping routines. This can mean that they either begin to sleep more and become less active generally or can be awake all night, pacing and meowing. 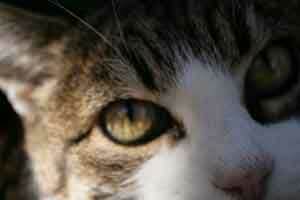 Litter Tray habits - A senior cat may begin to urinate outside their litter tray where before they always used it. Although this may be a sign of CDS it may also mean that they are finding it physically difficult to use the tray or that it may be painful to urinate and they associate the tray with the pain. Appetite - As a cat grows older their sense of smell may deteriorate thus causing the cat not to want to eat their usual food. Also they will start to drink less water, unfortunately drinking less can add to their CDS symptoms. How Can You Help Your Senior Cat? Feed fresh canned food as this has the strongest aroma, at regular intervals through out the day.Remember to only feed a little amount at a time to prevent over eating and the food going stale in the dish. Change the brand of food regularly to stimulate the cat's appetite. There are specail cat foods for the older cat on the market to help keep them in tip top condition during their later years. A little hot water can be added to food to increase the aroma. Provide plenty of fresh water around the home for your senior cat. Provide easy to climb into litter trays and perhaps provide extra ones around the home, so that the forgetful moggy easily finds them. Place bedding on the floor or in easily accessible places. 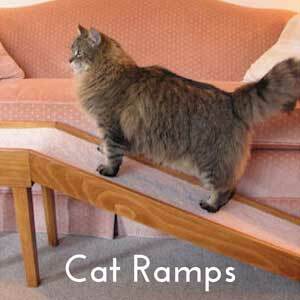 Some cats may even require ramps to help them get around the home. Extra playtimes and games - to help your cat's mental alertness play gentle batting games with a ball or a feather. It doesn't have to be too energetic just enough to keep them interested and alert. Close off areas of your home that may cause the old cat injury. Stairs in particular will be difficult to climb with stiff joints and your cat may find itself stranded half way up.